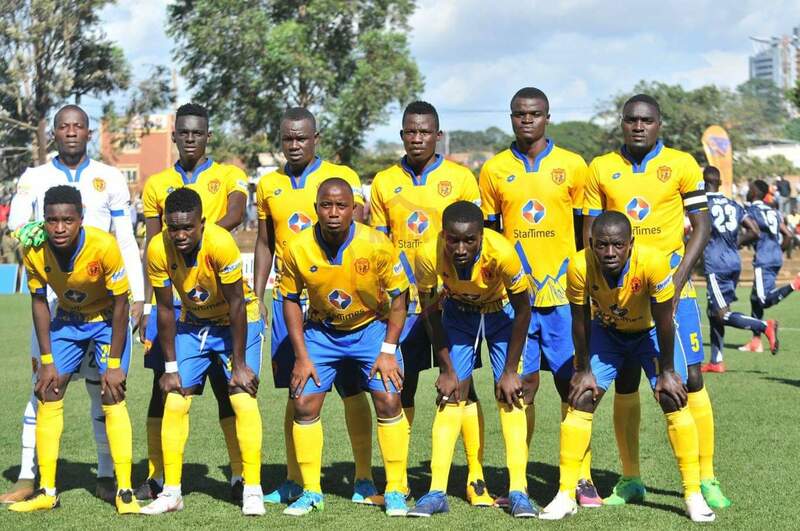 LUGOGO – KCCA FC thumped Police 6-3 to move 8 points clear at the top of the StarTimes Uganda Premier League on Friday afternoon. As anticipated, it rained goal on a warm afternoon at Lugogo with Julius Poloto, Muzamir Mutyaba (×2), Mike Mutyaba, Jackson Nunda and Patrick Kaddu all scoring for KCCA FC. Juma Balinya, Herbert Achayi (og) and Derrick Kakooza were on the score-sheet for the Cops. The game showed early signs of goals to come with both sides going all out in attack from the on set and missing a few opportunities. The first real chance fell to Ashraf Mugume on 14 minutes but the Police midfielder shot weakly at Charles Lukwago in the KCCA goal after he (Mugume) was played in expertly by Ruben Kimera’s low cross. A minute later, Julius Poloto made Mugume pay for his earlier miss, shooting in, strongly a Jackson Nunda pass from to hand the Kasasiros the lead. Five minutes later, it was 2-0 as Muzamir Mutyaba sent in a low shot from outside the area, past Police keeper Davis Mutebi and into the back of the net. 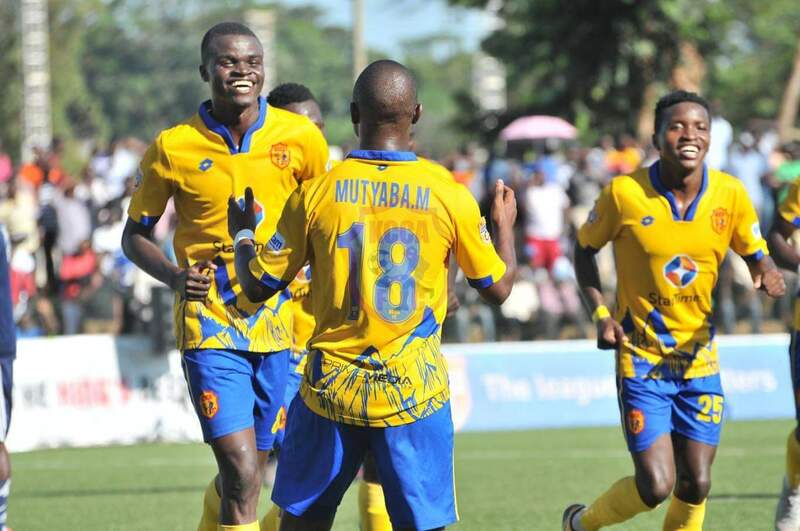 The goals had started raining in and on 23 minutes, it was 3-0 to Mike Mutebi’s side. After neat work involving Allan Okello and Nunda, the later passed to Mike Mutyaba whose curling effort from outside the area found the top left hand corner. Nunda could have scored a fourth instantly but he shot straight at Mutebi after he was played in by Mutyaba (Mike). 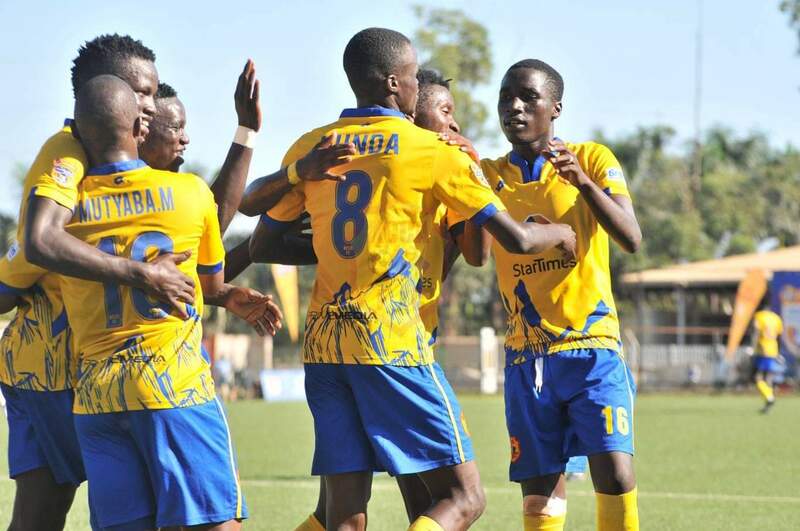 In an attempt to kill off the game, KCCA kept on pressing and Police had Mutebi to thank for not conceding again on the half hour mark as the youthful shot-stopper made a double save to deny first Filbert Obenchan and then Nunda, both from close range. With the pressure mounting and the home side showing no signs of slowing down, Police were forced to a make a tactical substitution, sending on Samuel Kayongo for Simon Mbazira. Moments after the substitution, Nunda scored again from close range to increase KCCA’s advantage to 4. With 7 minutes of the first half to play, Herbert Achayi who had earlier been booked for an elbow on Kimera, played in Nunda but the lanky-midfielder could not beat Mutebi while one on one with him and the custodian saved his side temporarily. However, he could only deflect Muzamir’s cross into the back of the net, three minutes later for the scores to become 5-0. At the stroke of half time, Mugume released Balinya who calmly finished past Lukwago to pull one back for the visitors. The Cops who locked to be in sixes and sevens were relieved to hear the halftime whistle blow with the scoreboard reading 5-1. At the start of the second half, Police looked a more organized side and started taking the game to KCCA. On 54 minutes, they nearky scored a second but Balunya’s effort from outside the area was deflected argonizingly wide for just a corner. Three minutes later, the Cops’ pressure was finally rewarded as Achayi deflected Arafat Ggaliwango’s cross from the left into his own net to make it 5-2. KCCA who looked to be in charge dispite conceding the latest rwo goal made two quick substitutions in succession with first, Steven Sserwadda replacing Okello and then Nunda coming off for Patrick Kaddu. Two minutes after coming on, Kaddu scored the 6th for KCCA off Muzamir’s assist. With time running out, substitute Derrick Kakooza scored a third for Police to make it 6-3. Despite late pressure by the visitors to score another, the game endes 6-3 with KCCA staying top of the log on 33 points, 8 ahead of their immediate rivals Vipers SC (25). For Police, they remained 6th qith 20 points from 14 games.